Mr.Momtrends was away on biz last week. So in addition to some old episodes of SATC, I curled up with some books to keep me company after the girls were asleep. 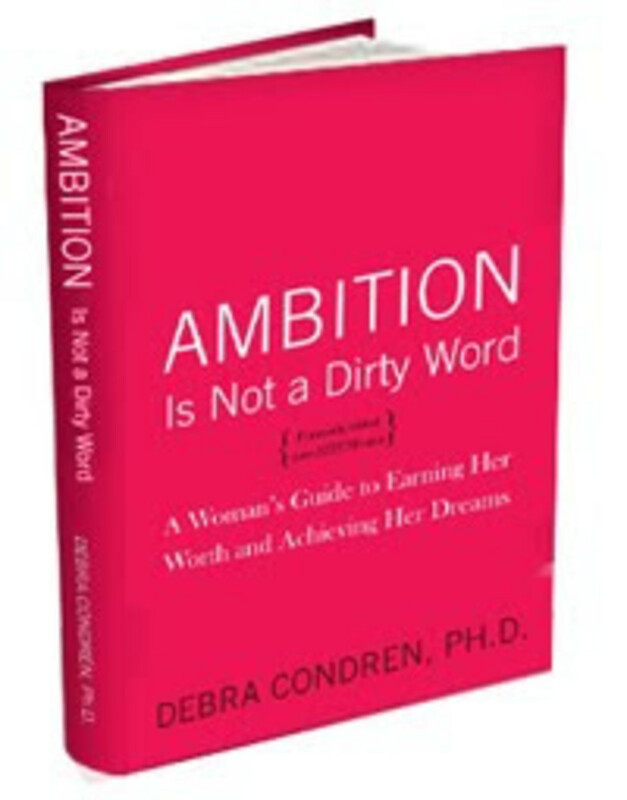 Ambition Is Not a Dirty Word: A Woman&apos;s Guide to Earning Her Worth and Achieving Her Dreams is penned by Debra Condren, PH.D. This book is not recommended for moms looking to re-enter the work place. It is a take-no-prisoners, feminist, pro working moms. What I liked: Condren encourages women to live their dreams and refuse to compromise. She holds husbands accountable for contributing to the work load and. I also like her mandate of "I must believe that my ambition is a virtue, not a vice. It&apos;s a thrill to see her call women on our tendency to apologize for being smart and competent in the workplace. She has excellent negotiating tips (I am a dreadful negotiator...but I am learning). What I didn&apos;t like: Unrealistic expectations. I don&apos;t know many working moms that have the time to cultivate 5-7 potential mentors as Condren suggests. She also suggests taking a one-woman sabbatical The woman example she offers talks of a woman who took four days off in Tahoe to ponder her next career step--not a likely scenario for a working mom. Best for: Young, child-free women moving up the career ladder. Working women in transition in their career looking for guidance. 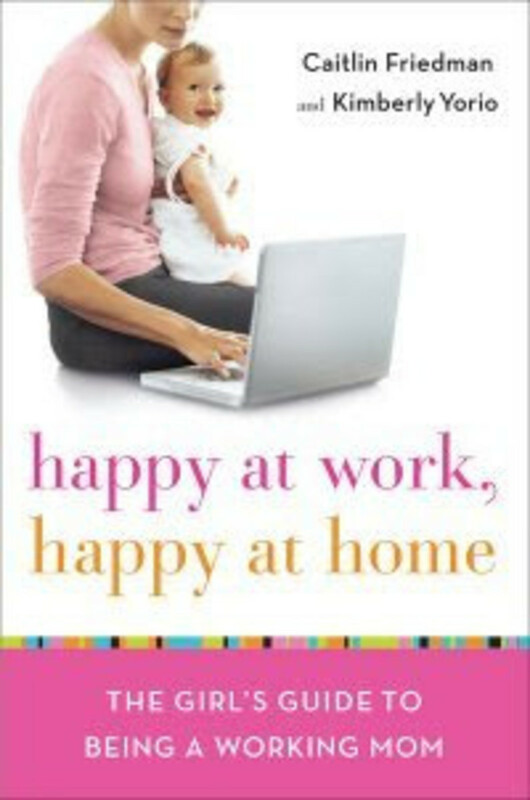 Happy at Work, Happy at Home: The Girl&apos;s Guide to Being a Working Mom is more my speed. The moms behind the realgirlsguidetobusiness.com. This is the book for my spot in life. I&apos;ve got young girls, a home to manage, plus I&apos;m building my writing and consultant career. That&apos;s a lot to manage. This book is packed with practical tips. Any mom trying to do it all can benefit from the "Working Mom Mantras: I can&apos;t control everything...I deserve time for myself...My child does not love the nanny more than me." What I like: skip the guilt AND the empowerment talk--this book is all about getting things done. From mapping out your maternity leave to pitching the value of telecommuting to your boss, you&apos;ll find tons of practical advice. Plus, I poured over the essays and interviews with real moms offering their real problems and solutions. What I didn&apos;t like: The books could be better organized.I&apos;d love to see a better index in the back. It took a lot of flipping around to find topics that related to a particular topic. I&apos;d also be interested in more statistics about working moms. Best for: New parents trying to navigate uncharted waters, moms returning to the workplace after an absence.